This blog entry will be a few days old by the time it breaks on the blogosphere, but I want to give kudos to the monumental accomplishment that occurred in West Antarctica on the last day of 2011. 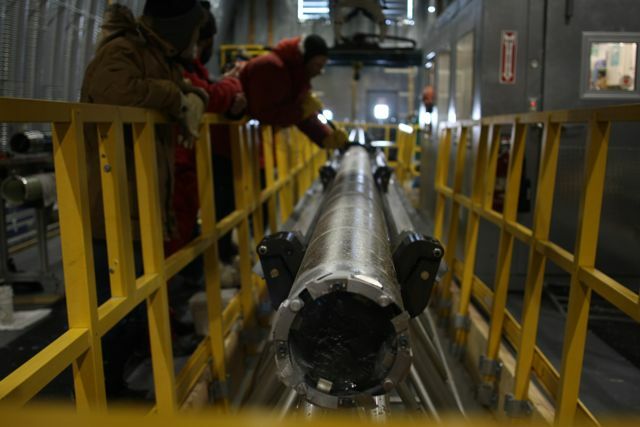 An idea that was born at least 20 years ago – either a report suggesting a West Antarctic ice core in 1986 or a proposal written in 1992 – finally came to fruition: drilling (and completing) a deep ice core on the divide of the West Antarctic Ice Sheet (WAIS). 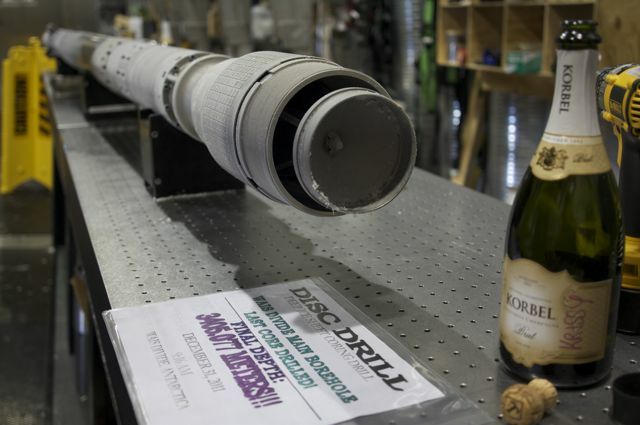 Officially known as borehole WDC06A, this WAIS ice core measures 3405m in length (depth) and represents what will be the highest resolution climate data for the last 60,000 years! It will play a huge role in determining the timing of abrupt climate change between the Northern and Southern Hemispheres. It also represents the deepest US endeavor in ice coring history. Yep. I just went there. As I’ve been here at WAIS Divide Camp for 3 of the past 4 drill seasons, I’ve been a happy participant in all of the science and logistics that goes into engaging in such a large endeavor. All I can say is it has been an incredibly wild ride so far! Now that we’re done with the main drilling, we are currently logging the borehole with a suite of instruments. We’re also waiting for materials so we can properly box and ship the ice cores to their eventual resting spot at the National Ice Core Laboratory in Colorado. We will also be testing a replicate coring system (I’m really excited about this). I hope to be sharing more about camp life (and some science) soon. What better way to kick off 2012?